Andrew Garfield is soon to be a household name! He is playing Spider-Man in the latest re-boot of the movie, being released in 2012! Soon everyone will know who Andrew Garfield is, according to a MovieFone article. The Untitled Spider-Man Reboot is scheduled to start filming in this December, so plenty of new information on other actors and the villain should be coming in soon! The release date is July 3, 2012, and you can expect big things for a Marvel summer movie released July 4th weekend! This Spider-Man reboot will be directed by up and coming Marc Webb. See IMDB for more details! Very exciting!!! There will surely be tons of new costumes in 2012! 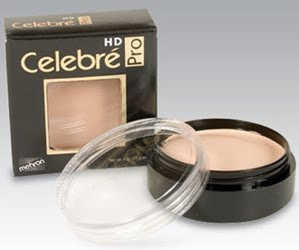 Celebré Pro HD Makeup - Flawless Coverage is now here! Renowned industry makeup artists worked with the experts at Mehron to create an impressive array of colors to accommodate all skin tones. 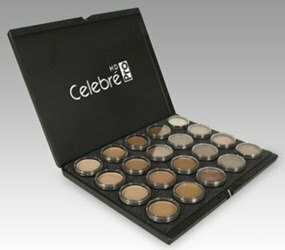 The results of their efforts is a perfect range of colors that are sold individually and available in all the Celebré foundation colors plus new HD colors as well. From fashion runways and HD-TV to everyday wear, Celebré Pro-HD works for every occasion and on all skin types and colors. Also available in a makeup foundation palette for professional makeup artists, theaters, etc.